Expedia has some excellent Koror travel packages ready and waiting for you. Bundling your lodgings and airfares is one of the most straightforward ways to save money on your upcoming trip. Our comprehensive database features more than 400 partner airlines and 321,000 worldwide properties. With such a fantastic range of options, you really can't go wrong! If you decide to change your mind, we'll honor your cancellation request on nearly all bookings with no added fees. It can be enjoyable to just wander the streets when you're in a new place, but sometimes it's a wise move to have a plan in place. Grab your travel program — we have lots of awesome ideas for your Koror vacation. Enthralled by the mysterious marine world? Have close encounters with colorful animals and find out the mysteries of our planet's vast waters at Palau Aquarium. There's a wonderful range of things to keep you busy in this destination. History is an excellent teacher. Travel into the past for a lesson at Mother & Child Stone. Still have time on your hands? Put down your history books! Witness the past jump off the page at Belau National Museum. Koror boasts approximately 10 accommodations, so choose a comfy place to stay for your next luxury getaway or cheap vacation via Expedia and begin arranging all the exciting activities. 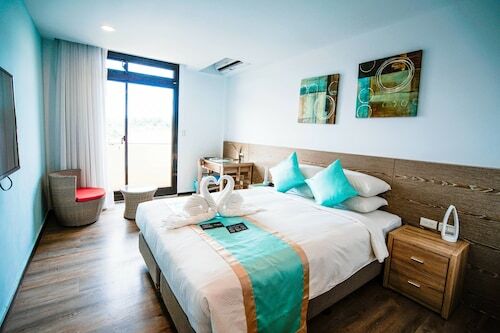 If you're into gyms and valet parking as well as comfortable beds, why not inquire about the amenities at the Palau Royal Resort (Koror) and the Palasia Hotel Palau (Main Street)? Sitting 3 miles (5 km) away, Palau International Airport (ROR) is the most convenient terminal to your destination. Buckle up that seat belt and switch off that in-flight film — your wonderful trip to Koror isn't far off now! 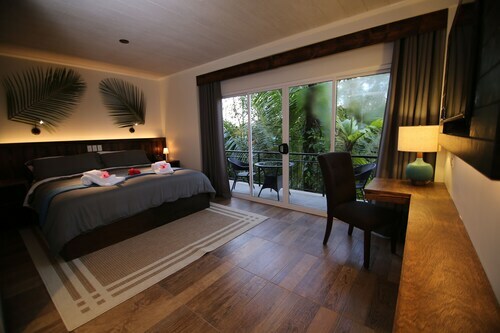 Situated in Koror, this spa hotel is within a 5-minute walk of WCTC Shopping Center, Etpison Museum, and Nikko Bay. Asahi Stadium and National Stadium are also within 15 minutes. Situated in the city center, this hotel is close to Etpison Museum, WCTC Shopping Center, and Asahi Stadium. Also nearby are National Stadium and Nikko Bay. Situated near the beach, this hotel is within a 10-minute walk of WCTC Shopping Center, Nikko Bay, and Asahi Stadium. National Stadium and Etpison Museum are also within 15 minutes. 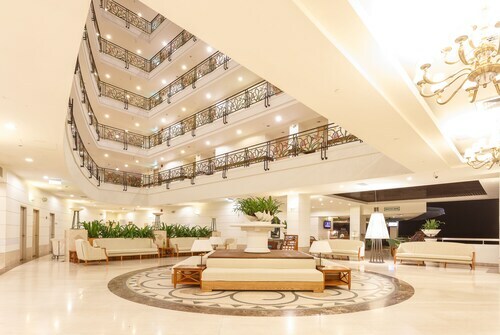 Located in the heart of Koror, this hotel is within a 10-minute walk of WCTC Shopping Center, Asahi Stadium, and National Stadium. Etpison Museum and Nikko Bay are also within 10 minutes. 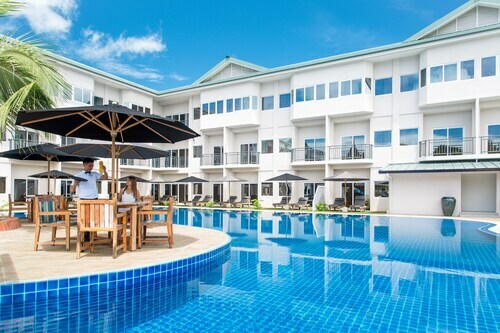 Situated in Koror, this hotel is within a 15-minute walk of Nikko Bay, Asahi Stadium, and WCTC Shopping Center. National Stadium and Etpison Museum are also within 1 mi (2 km). 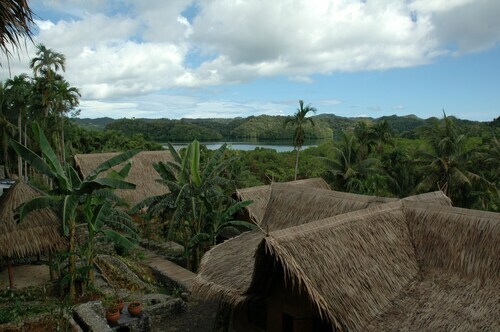 Situated in Koror, this hotel is within a 15-minute walk of Etpison Museum, Nikko Bay, and WCTC Shopping Center. Asahi Stadium and National Stadium are also within 1 mi (2 km). 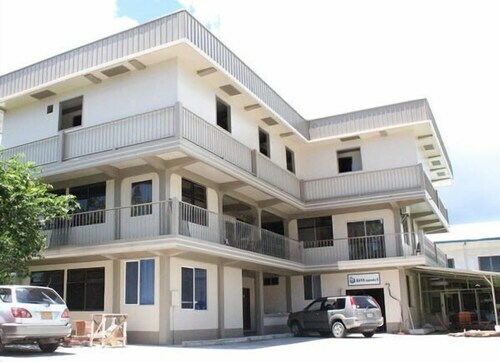 Located in the heart of Koror, this motel is within a 10-minute walk of National Stadium and Asahi Stadium. Long Island Park and WCTC Shopping Center are also within 15 minutes. Situated in Koror, this hotel is within a 10-minute walk of WCTC Shopping Center, Nikko Bay, and Asahi Stadium. National Stadium and Etpison Museum are also within 15 minutes. Mon., 3 Feb. - Fri., 7 Feb.